Students, NGO officials, and diplomats held a remembrance service in Vientiane on Friday to commemorate a prominent civil society leader who vanished five years ago at a police checkpoint outside the Lao capital, while rights groups worldwide demanded to know his whereabouts. 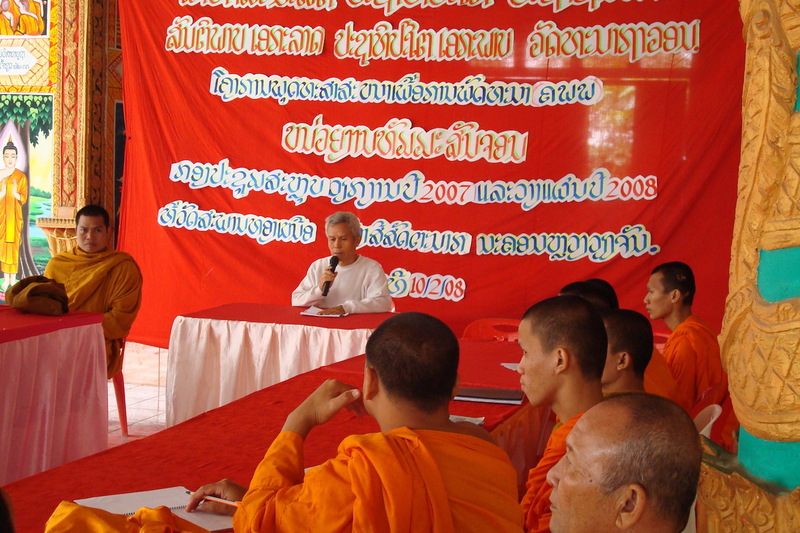 The group gathered at the Participatory Development Training Center (PADETC) to mark the fifth anniversary of the disappearance of Sombath Somphone, who founded the nonprofit center devoted to sustainable social, economic, and environmental development. Sombath’s widow, Ng Shui Meng, who has repeatedly called on the Lao government to answer questions surrounding the fate of her husband, thanked the center for continuing to believe in Sombath’s vision and ideas. Five years after Lao activist Sombath Somphone disappeared after being snatched off the streets of Vientiane by police, rights concerns in the tiny, landlocked Southeast Asian state still remain significant and unresolved. Last year’s change in government, with a new prime minister in charge of the one-party state, had also raised hopes that this type of atrocious and anachronistic behavior might finally have come to an end with Thongloun Sisoulith touted as a more moderate leader. But those hopes are proving about as realistic as finding Somphone alive. Perhaps even more disappointing, as noted by Human Rights Watch, is that while donor support for the development of Lao civil society organizations has increased significantly, so too have government restrictions.